Anyways, I was s'posed to upload this card the minute I arrived back from a fabulous weekend in London but after a 4 hour train journey home, the only thing I could do was eat and sleep in a zombiefied state LOL! Still, better late than never eh?! 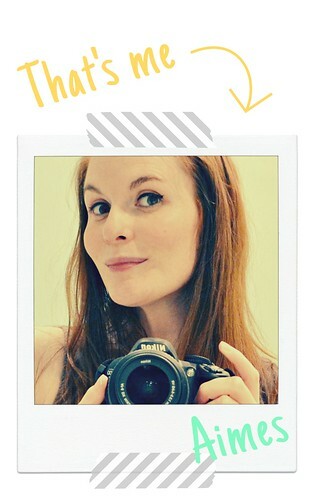 This was a card I made for my fabulous new buddy, Caryn! I had the pleasure of being in Caryn's company the other weekend (that I'm still recovering from!) and tried my best to send a quick card for her Bday before I left for the weekend! Again, I attempted a bow on that darned single sided polka dot ribbon! I'm not so scared of bows now, though I do spend soooooo long trying to perfect it that it takes longer than the rest of the card takes to make LOL! 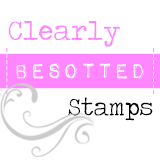 Stamps: My Favouite Things - What's up Cupcake? Anyways, that's it from me! Short and sweet! Hope y'all having a fab week so far - we're half way through, woo hoo! What a super cupcake card!!! Love it!! What lovely looing buns you have today LOL! no seriously gorgeous :D I love your colouring too, I can almost reach out and take one off the stand. Scrummy card Aimes - good enough to eat! Beautiful card Aimes, love the cupcakes and well done on the bow tying! Great card Aimes! It's so fun and colorful. The cupcakes are colored so beautifully - yum! Glad to hear you had a fun trip. Fabulous card Aimes, Love the colouring, in fact I'm envious of the colouring - I must practice more. Aimes this is DARLING! I LOVE everything about it!! Great job!! Super yummy cupcake card!!! And your bow is perfect - I try to avoid single sided printed ribbon! Oh, loove London - can`t wait to visit again some day! Hi Aimes, thanks for your lovely comments on my blog, I'm just loving this cupcake stamp, lovely round fat cakes....lol! Absolutely fun and festive! I love it! Hope your London weekend was fabby!! !